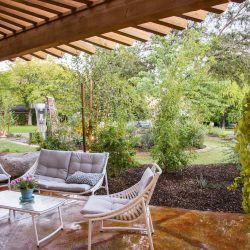 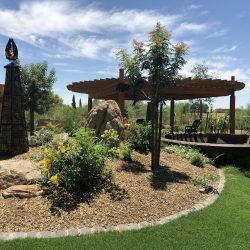 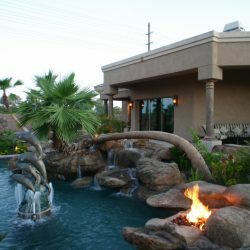 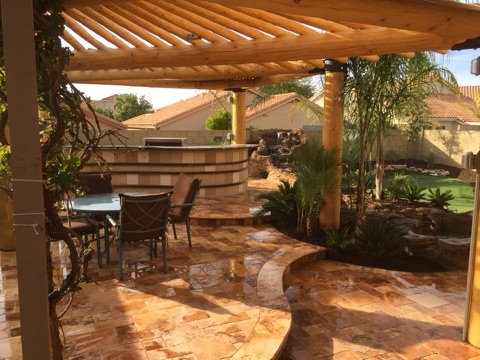 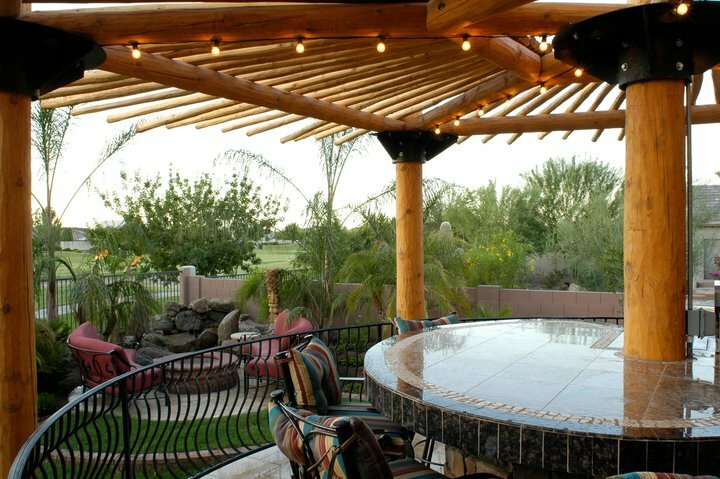 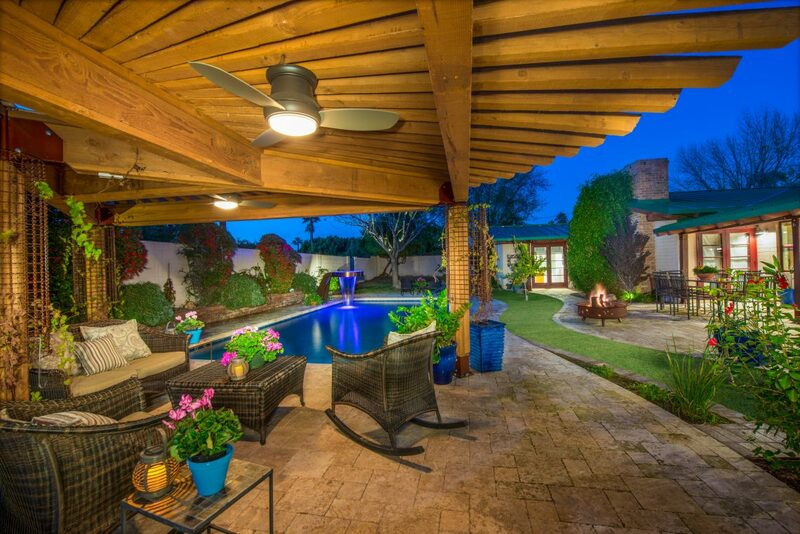 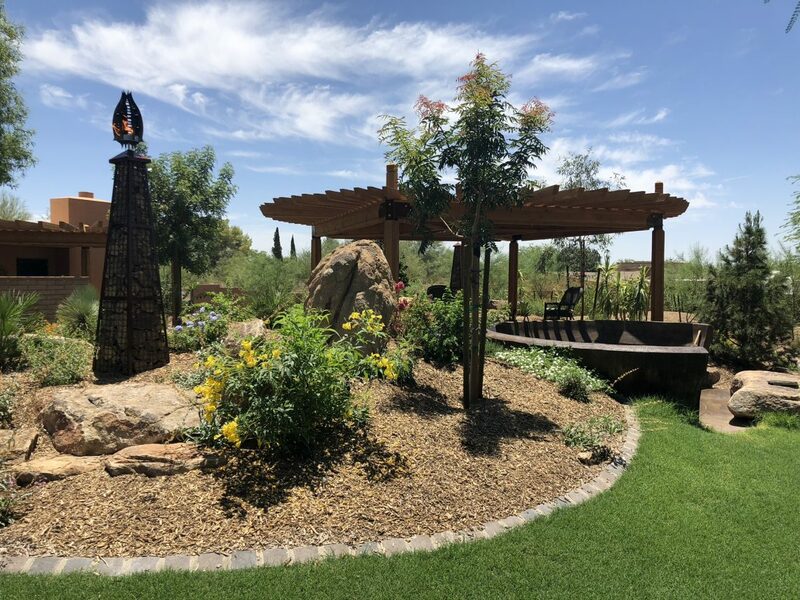 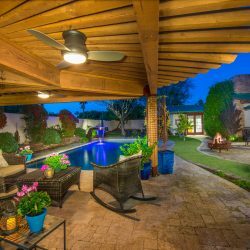 Landscape Design Phoenix: Learn How to Make Your Outdoor Space Zen! 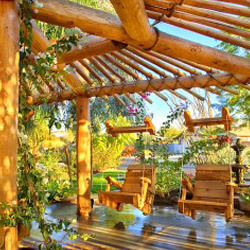 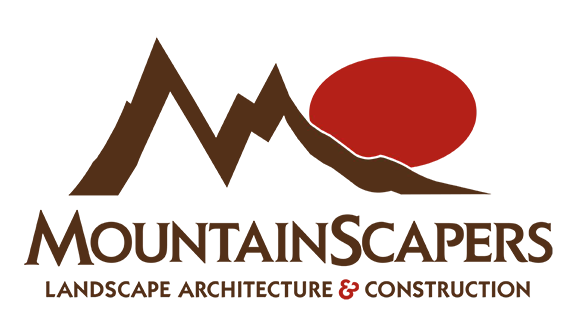 If you have checked out our last blog, this time, we are talking about: Zen. 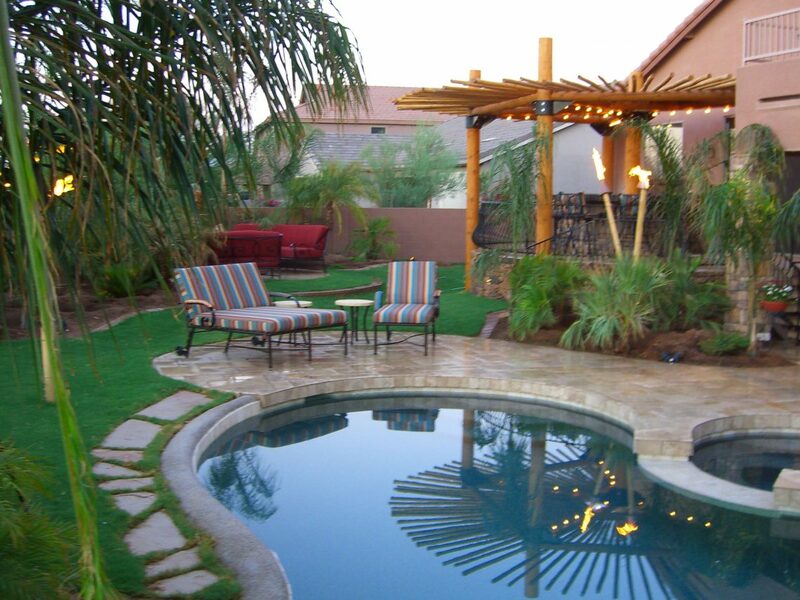 Zen is a way to be at one with yourself and to make your landscape design a place of pure bliss and happiness. 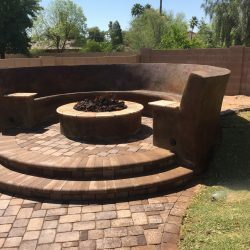 We at Mountainscapers want you to have your dream outdoor area. 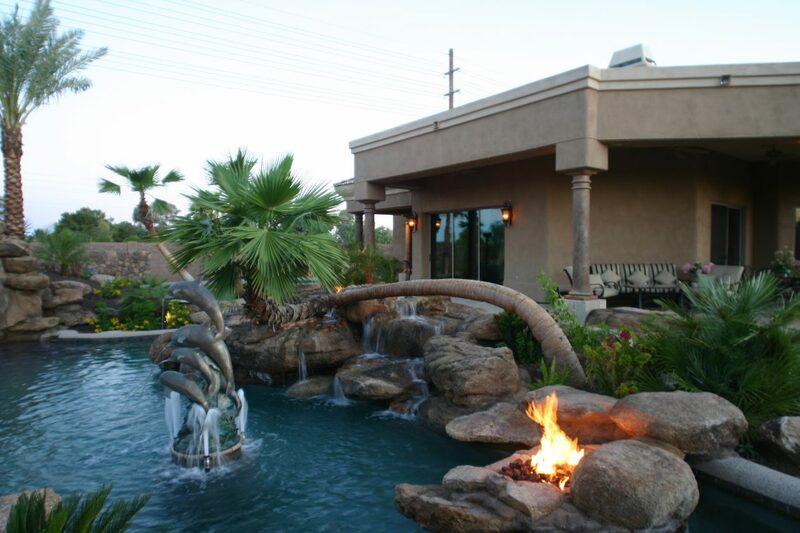 We can add waterfalls, lush greenery, and much more. 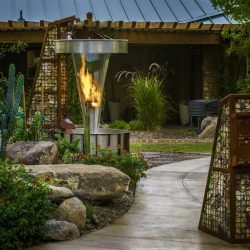 Check out more elements to make sure you have a zen landscape design! 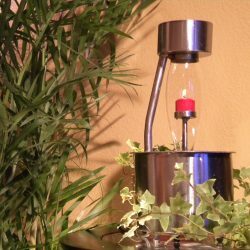 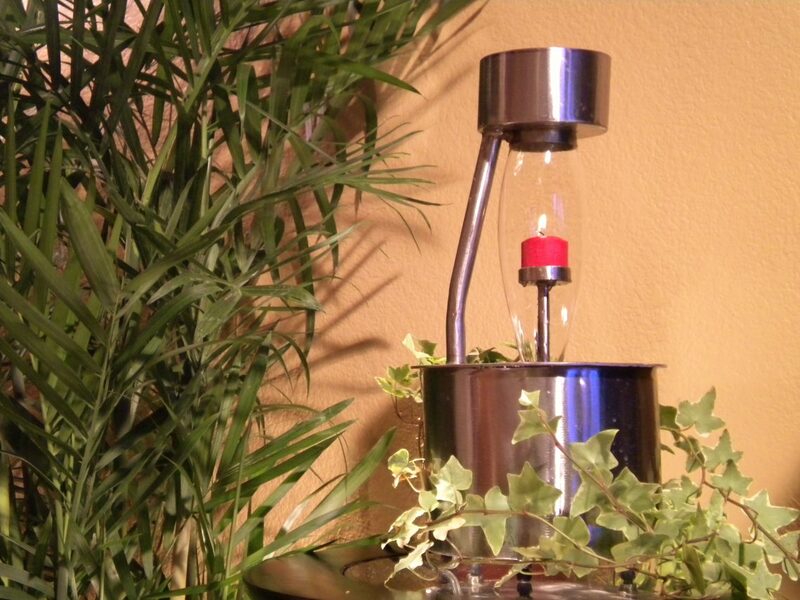 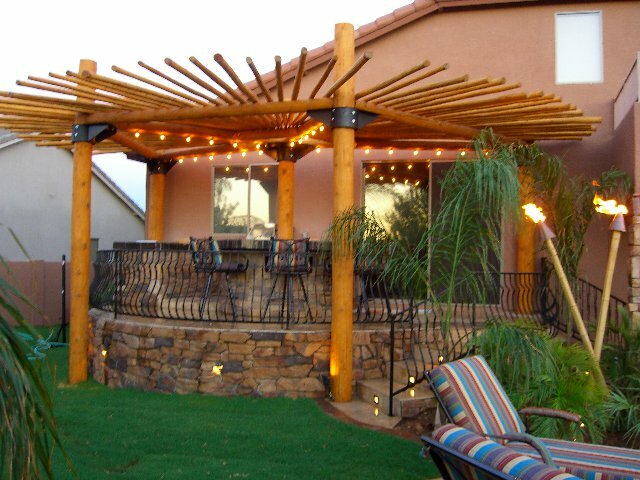 string lights across the top of your patio or even around your pond. 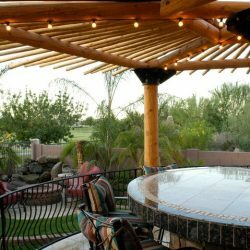 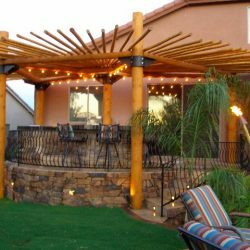 Another option is to take lighting poles and place them in various spots of the outdoor area. 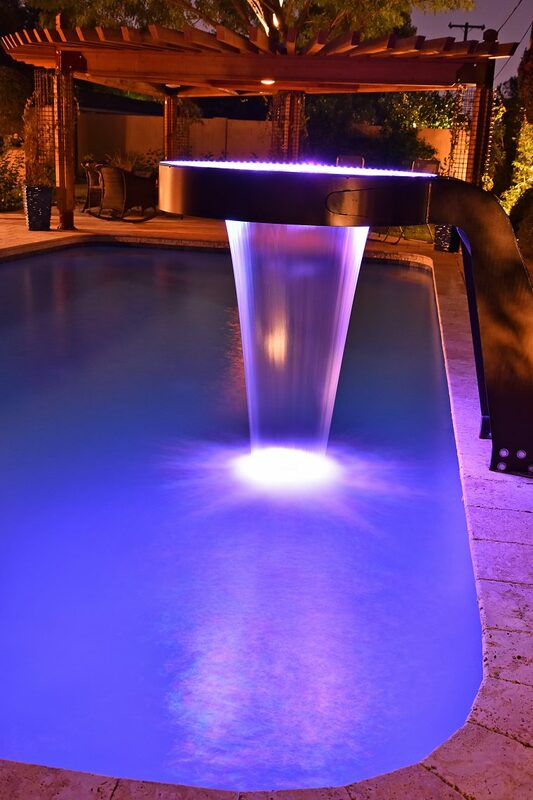 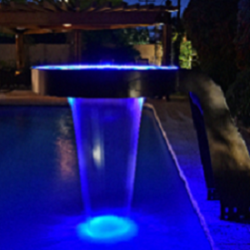 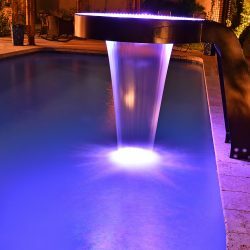 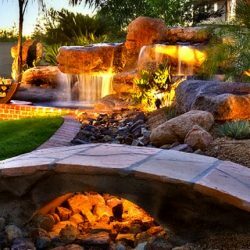 There are many different lighting tricks to enhance your landscape design. 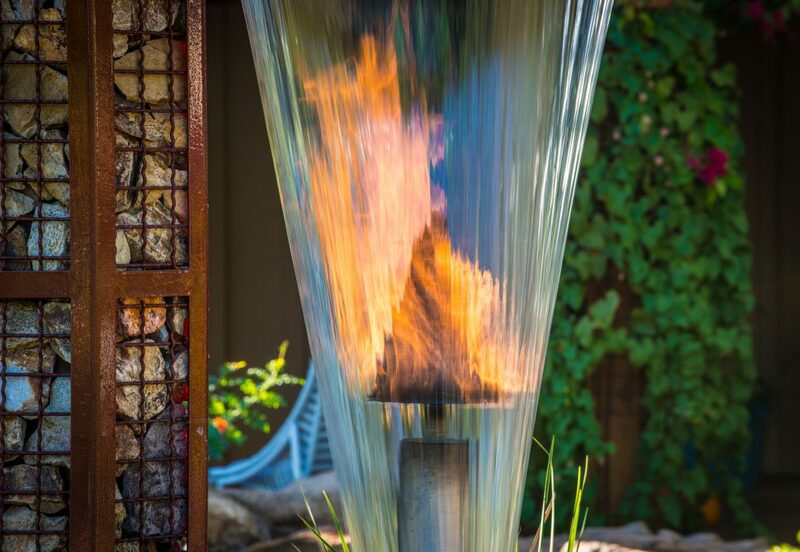 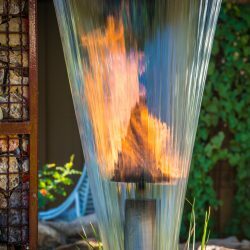 Fire is a great way to balance the water aspect of your landscape design. 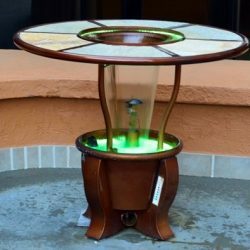 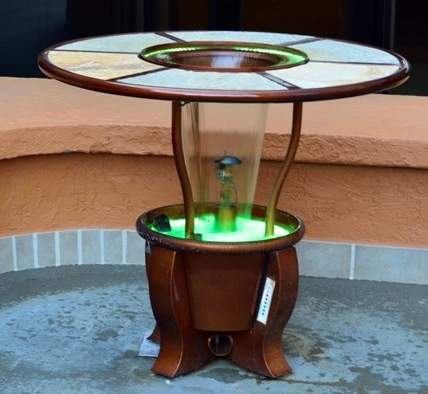 We make amazing fire tables that you can display for your family and friends. 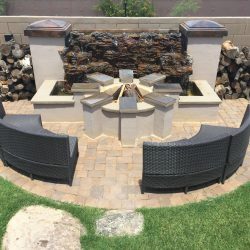 It is a great way to create a space to entertain, or even meditate. 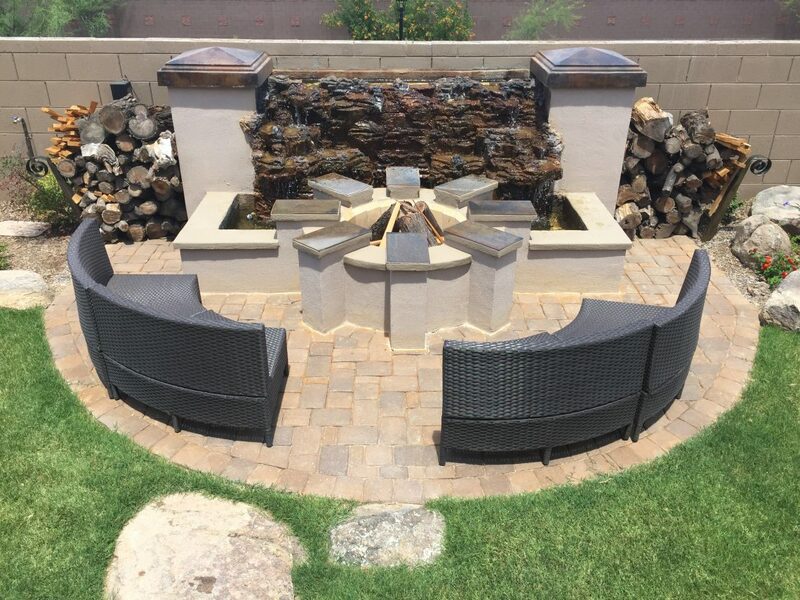 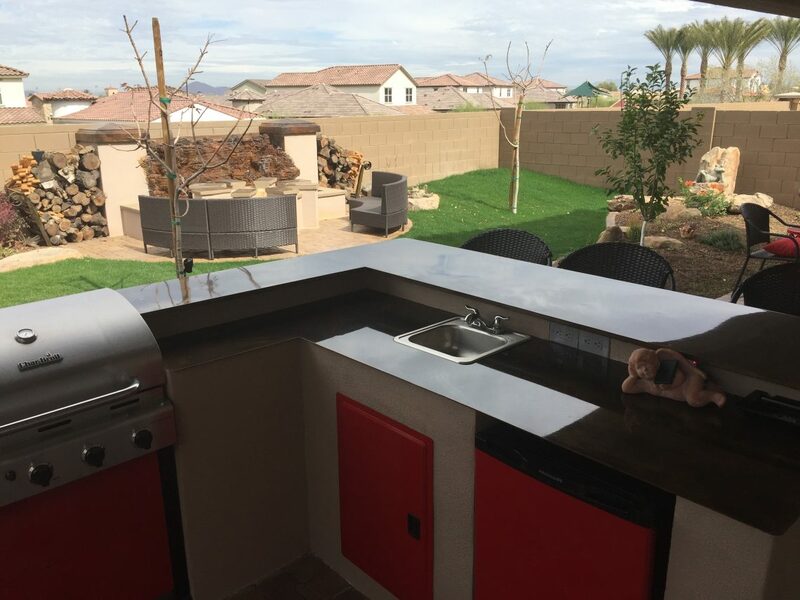 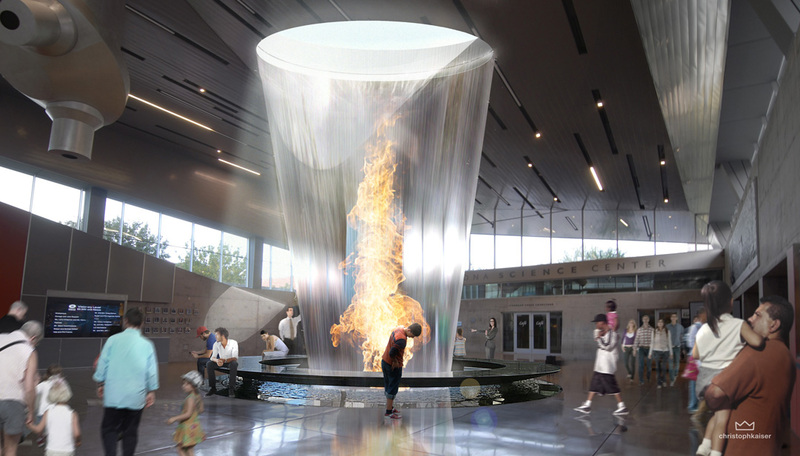 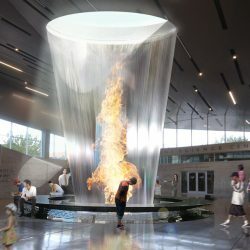 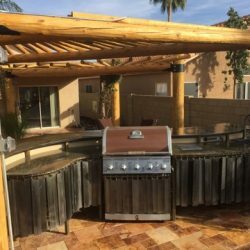 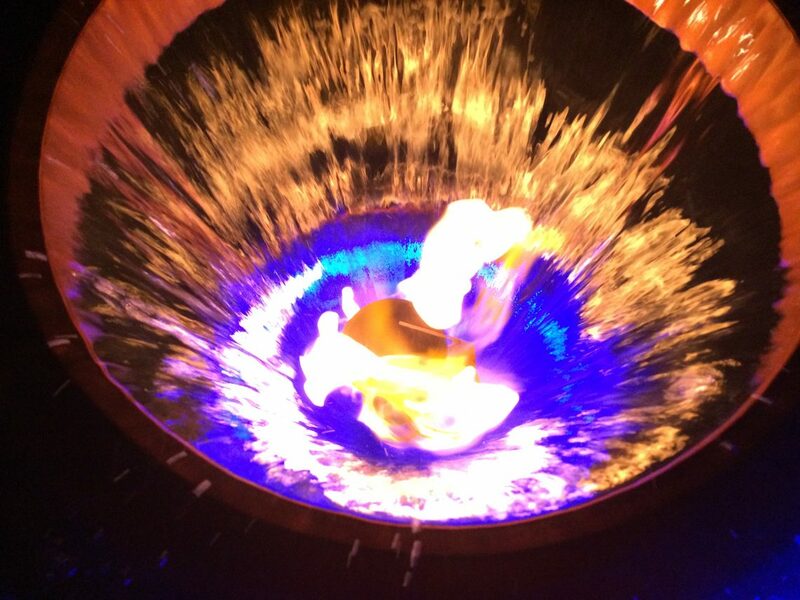 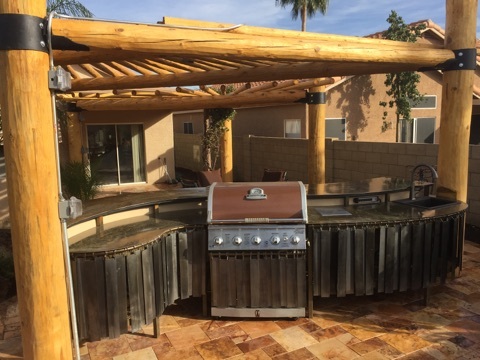 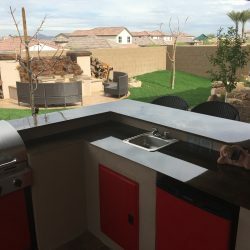 A fire table will really help keep you warm during our cooler nights in Phoenix. 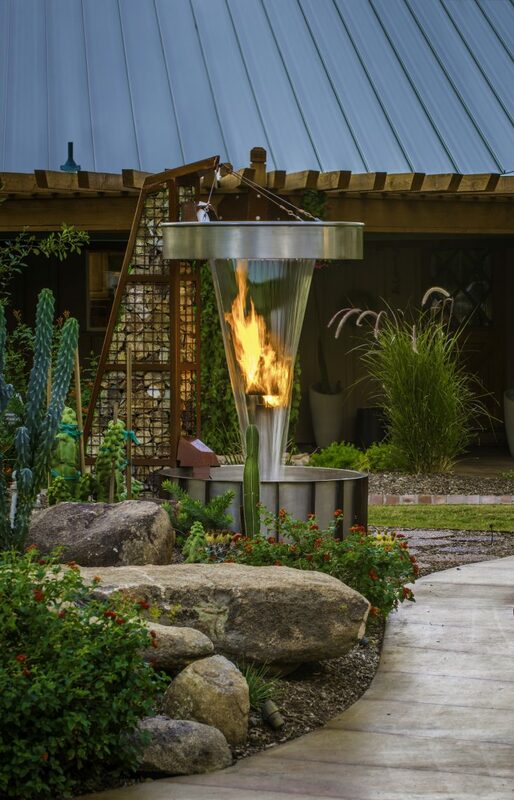 Another option is to get tiki torches placed strategically around your landscape design. 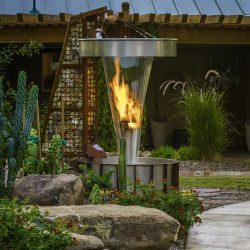 You can get some that are smaller and able to go around a certain area, or you can add one large one when you gather around and keep warm. 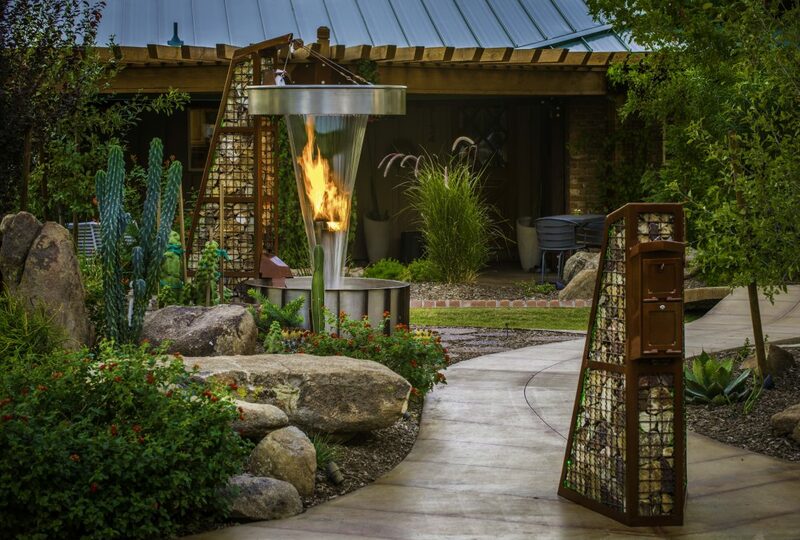 It’s all up to you and your zen vision. 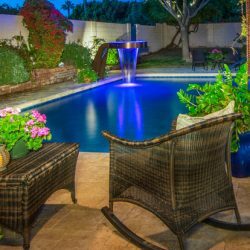 Once you have your landscape design off of paper and created to fit your actuality, you can think about seating arrangements. 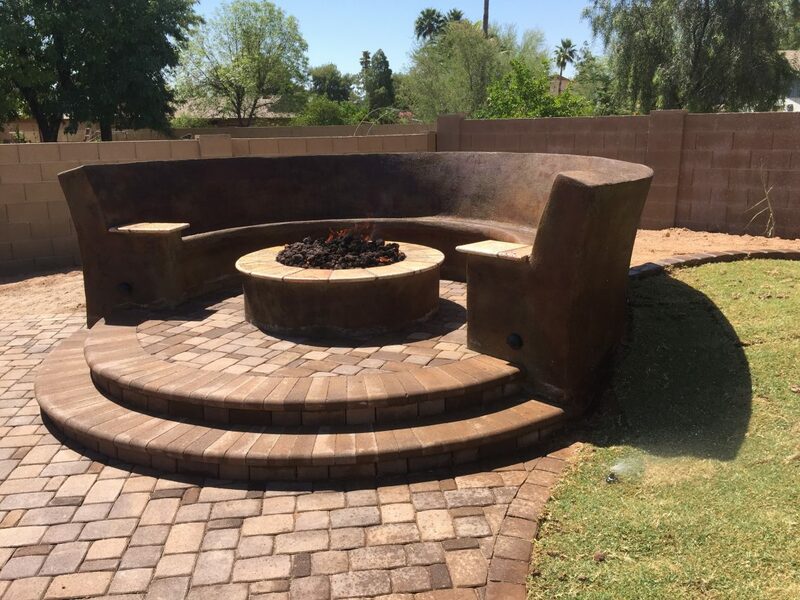 Some people love a nice wrap-around couch to go around their favorite part of the design, such as a fire table. 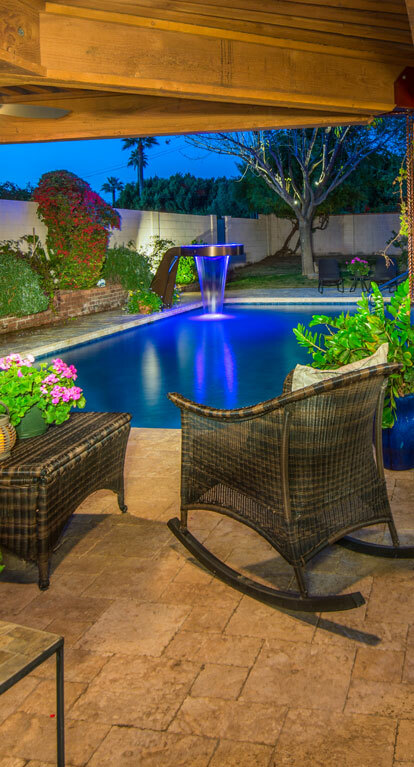 Others prefer a more subtle approach with just two chairs and maybe a small table to rest a book or a nice cocktail. 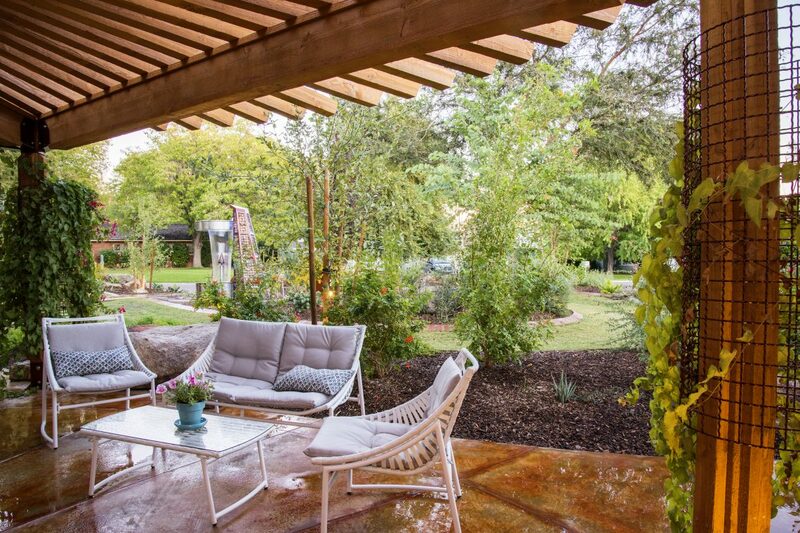 This is your space and you know the way to make it all your own. 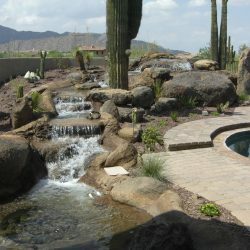 So if you want to create a gorgeous, calm, and lush landscape design, call us. 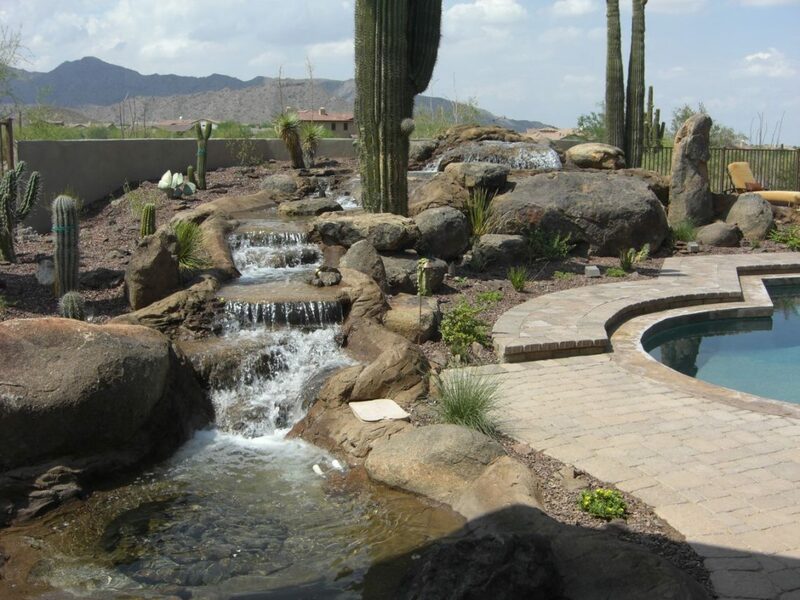 We at Mountainscapers in Phoenix make your paradise our passion. 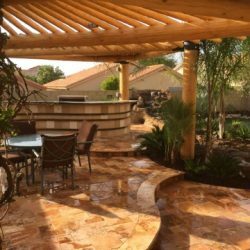 We can come up with ideas to help you create the ultimate space for you to relax and enjoy. 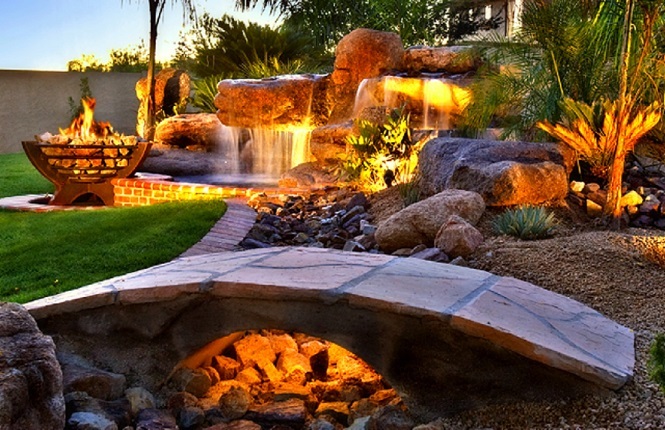 So stop dreaming about your oasis, make it a zen reality.